John Legend has consistently produced critically acclaimed albums since his debut in 2004. Before he was the singer-songwriter that we know and love, he was born on December 28, 1978 in Springfield Ohio as John Roger Stephens. He performed with his church choir at the age of four and began playing the piano at the age of seven. At 12 years old, Legend attended North High School and graduated 4 years later. Upon graduation, he was offered admission to Harvard University and scholarships to Georgetown University and Morehouse College. He attended the University of Pennsylvania where he studied English with an emphasis on African American literature. While in college, the performer was the president and musical director of a jazz and pop a cappella group. During these years, he was in a number of shows around Philadelphia, eventually expanding his audience base to New York, Boston, Atlanta, and Washington D.C. In 2001, Legend was introduced to up-and-coming hip-hop artist Kanye West. The two have since collaborated on almost every album that Legend has put out. He has also worked with Jay-Z, Mary J. Blige, The Black Eyed Peas, Fergie, and Alicia Keys. He has won 9 Grammy awards and a total of 14 awards with 35 nominations. 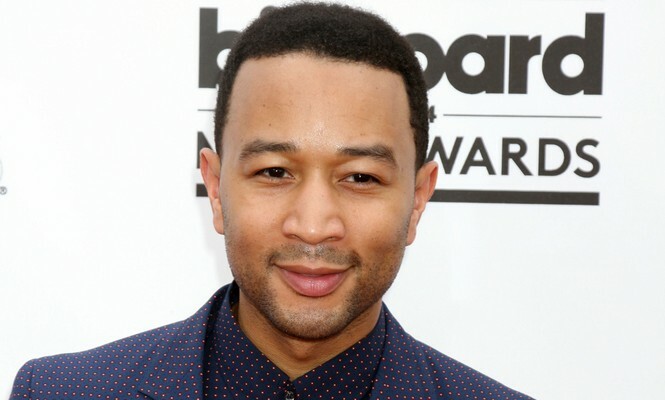 John Legend has kept his relationship and love life away from the spotlight. After four years of dating, he announced his celebrity engagement to model Chrissy Teigen in December 2011. The famous couple married on September 14, 2013 in Como, Italy.